Not only did Facebook get a new update. 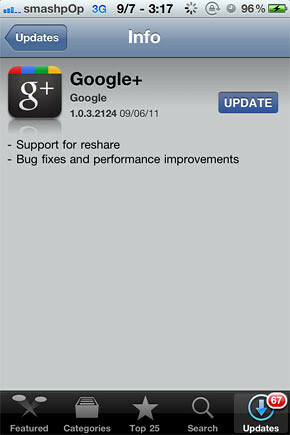 Google also just updated their Google+ app for iOS adding the most wanted feature of all, “Reshare”. ● Stream is where you can get updates from your circles or see what people are saying about things nearby. ● Huddle is super-fast group messaging for everyone in your circles. 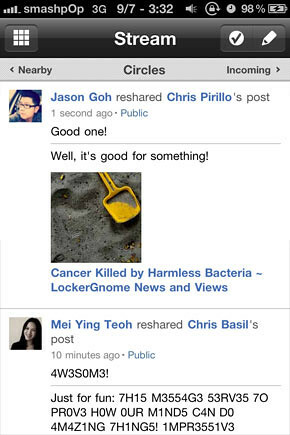 Here’s how the sharing action looks like on the new update. When you view a post by someone, tap on the bottom right button and it will bring up the options for the particular post. 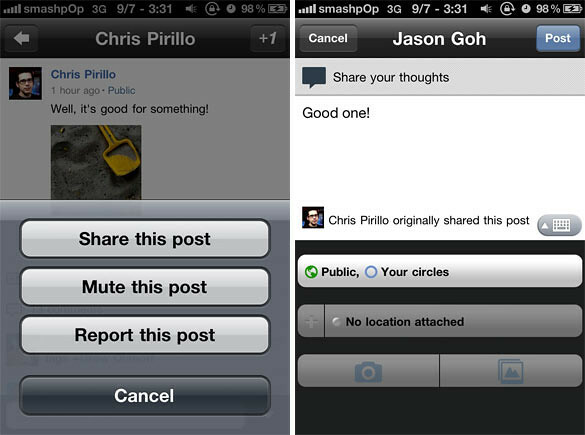 Tapping on “share this post” will allow you to share and add your own comment. This is how the shared post looks like on my stream.